As always with a new level there is usually a premium character and a premium building offered as well. The premium building offered in Level 36 is the Springfield Museum of Natural History. The big question is, Should I buy it or leave it alone?. Here I am again to break this item down and do my best to help you decide. First, let’s take a look at the history (no pun intended) of the building in the show, then we’ll cover all of the game info, pros and cons. 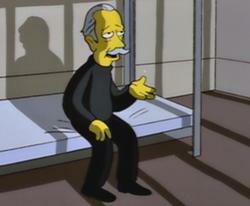 The museum is owned by none other than Montgomery Burns and the current one is actually a rebuilt version of the original which caught fire. 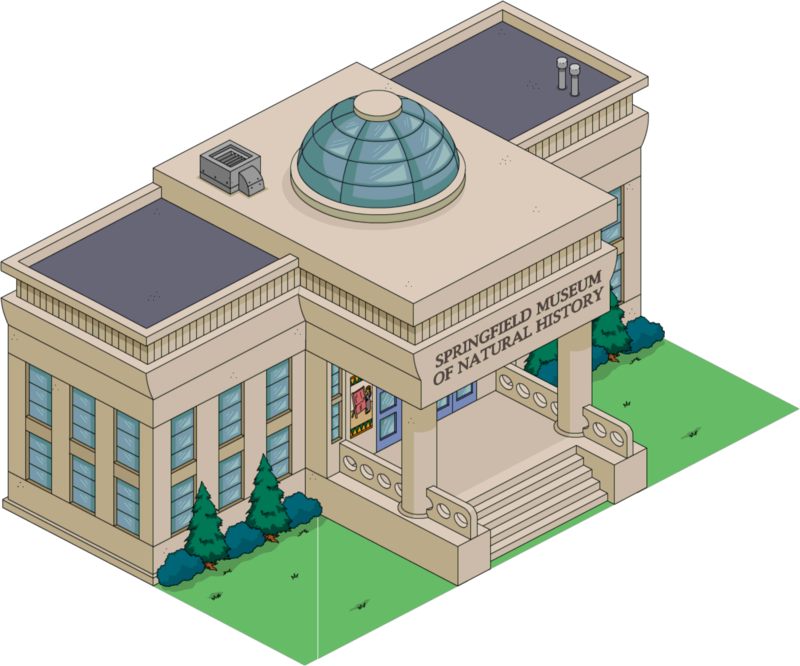 Unfortunately for the kids of Springfield and us tappers hoping for any new quests to come out of it, the museum is currently closed due to severe lack of interest. However, the museum is the home of the World’s Largest Zirconia. We have that already from Level 34 and now the museum, perhaps a new character could be Molloy?! And back to the first, PRICE. At this stage in the game it is unnecessary to fork over that many donuts for a non-usable building. Especially with the holiday season coming which may mean a Thanksgiving and a Christmas event. I hope I have helped shed some insight on this building. Although I said above that I wouldn’t declare a yes or no, if I absolutely had to give an answer I would say NO. Save your donuts, finish the event and see what’s next. This is a permanent building and will always be for sale in the premium menu. If one day a quest gets added to it, then you can always go back and get it. Hope this helps! I am probably stupid for saying this but this was the first premium building I have ever bought (that’s no surprise seeing as I am a very new player only started around Christmas 2013) But I must say I absolutely love this building! Mainly due to the grandeur of this building, and also it really fits in in my town! I personally think this was a great buy for me, although it is a shame that there are no quests. Not stupid at all. I love just the look of it as well and hold out hope that it’ll be involved in a quest someday. Not a stupid question and yes it is where the world’s largest zirconia. Had to buy it but I’m an uber History nerd. Classic building from the show. Me too. Well I have to buy everything anyway. Hoarder!! I built an exhibition area and it fits in nicely. Yeah, “For Completists Only”. It doesn’t even really fit with anything else that well. Meh. It should have come free with purchase of Jimbo. We just had the Wax Museum and Knowledgeum. Would have preferred the Clamphitheater for Squidport personally. 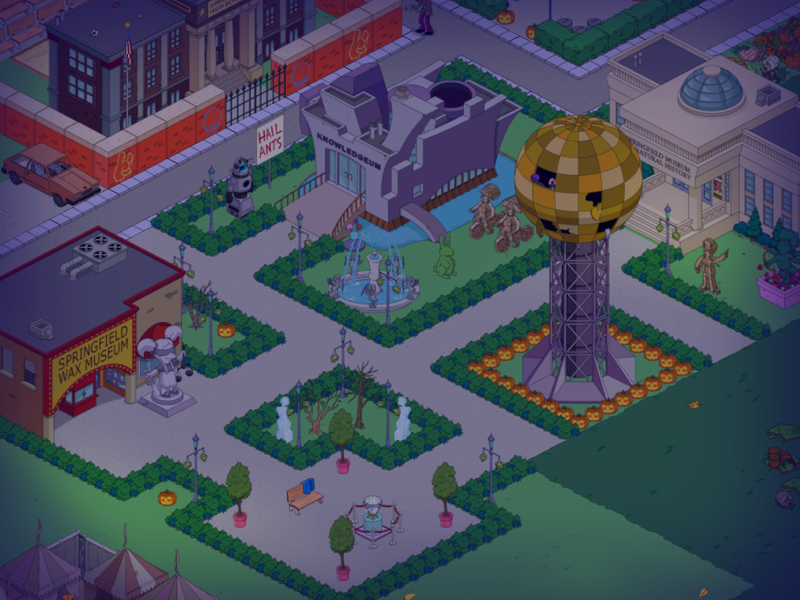 At the begin of the event, I had 960 donuts more less, when the event started I bought every premium stuff including last year’s Halloween items (this year premium), except the raven, krusty doll and burns monster because I’m not going to complete the Treehouse of Horror XXIII set. My total decreased to 136 donuts. Thanks to the trivia and ghost donuts, when I unlocked the Ray Gun, I had 156 donuts, of course my total decreased to only 6 donuts. Now, thanks to constant tapping (and Halloween event of course) my total is 99 donuts. With the event, I collected 113 donuts and, contrary to Whacking Day, I’m not tired yet. My goal is 120 donuts to buy Jimbo and maybe later I’m gonna need to buy donuts for the next events. Greetings from Mexico!!! Previous Halloween 2013 Special Run-through: A Walkthrough Within Walkthroughs. How To Manage Your Tasks.